On this day in 1982, Jeff Chandler retained his WBA Bantamweight Title with a 6th round TKO of Johnny Carter at Pennsylvania Hall in Philadelphia. With the win, Jeff Chandler put to rest a long-standing rivalry with Carter. Up to that point, "Dancing Machine" Carter was the only man to ever beat Chandler in the ring. That win came by way of a decision in the amateur ranks. So disgusted by the loss was Chandler that he immediately turned pro. By the time Carter joined the professional ranks, murmurs of Chandler's championship pedigree had already begun. Irritated by what seemed to be a "this town is only big enough for one bantamweight" attitude, Carter's manager Bob Botto whisked him off to the bantam-rich West Coast for development. By the time Carter was ready for a title try, Chandler was the king of the division, and was the favorite going in. The question that remained however, was "Does Carter have Chandler's number?" Fans poured into PA Hall and tuned in to the national television broadcast to find out. The fight had the makings of an excellent battle between two local stand-outs. The fight itself was electric, but not because it was war waged between two evenly matched combatants. What made the fight so compelling was just how masterful Jeff Chandler truly was. In Carter, Chandler faced an excellent opponent with a real challenger's credentials. But Joltin' Jeff was not to be denied. On that afternoon, he proved himself to be the best bantam in the world. The fight started carefully, but before long, Chandler was in complete control. Round after round he out worked and simply over-powered his old nemesis. Finally in round 6, the fight was over. It was Chandler's 5th successful defense. He went on to make four more defenses before losing his crown to Richie Sandoval in 1984. But it was against Johnny Carter, on March 27, 1982, that Chandler reached his absolute peak. 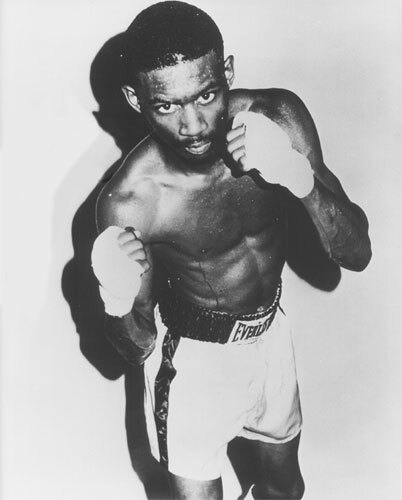 His final record was 33-2-2 with 18 KOs, and he was one of Philly's all-time best.